A Pacific Northwest native, Timothy Welsh grew up fascinated by the natural world. Over the years, his career goals transitioned from geology to forestry, until he discovered chemistry. 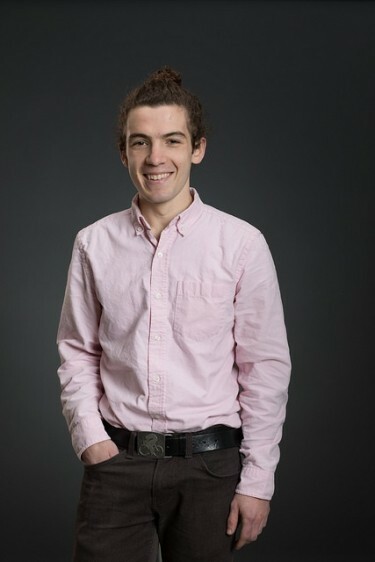 A triple-major in chemistry, biochemistry, and applied and computational mathematical sciences, and Honors student, Welsh’s research endeavors seek to better understand some of the biochemical mechanisms underlying these processes. “Elucidating these mechanisms will not only deepen our understanding of nature, but I believe will help provide solutions to some of the biggest problems facing the human race,” he says. Welsh’s drive to discover led to his selection as a Churchill Scholar. An extremely competitive award — Welsh is one of only 15 in the country — Churchill scholars are selected for their proven talent in research and ability to make significant contributions in the sciences, engineering or mathematics. Welsh was selected from 101 applicants for this scholarship, which covers full tuition for one year of master’s study at Churchill College in the University of Cambridge; a stipend; travel costs; and a chance to apply for a $2,000 special research grant. Welsh first worked in a lab as a high school student during a summer internship at the Oregon Health & Sciences University, and has been researching ever since, working in labs from the UW to Switzerland. In 2017, Welsh published a first-author paper, sharing the results of his summertime work in Dr. Walter Loveland’s nuclear chemistry lab at Oregon State University. Currently a member of Professor Stefan Stoll’s lab, Welsh’s research now focuses on developing techniques to determine the structure and changing shapes of proteins. As a Churchill scholar, Welsh will complete a master’s degree in chemistry at Cambridge. There, Welsh will join the lab of Professor Tuomas Knowles — a leader in the field of microfluidic techniques within biophysics — to study properties of ribonucleoprotein (RNP) granule formation and propagation. Building on his past research experiences, Welsh plans to use microfluidic techniques to better understand how granules function within the cell, both when healthy and when mutated. The long-term goal of this research is to better understand how these mutations are related to neurodegenerative diseases, such as ALS and Huntington’s. After earning his master’s at Cambridge, he plans to return to the U.S. to pursue a Ph.D. with an emphasis in chemical biology. He hopes to one day educate the public about the importance of the microscopic biochemical world and act as a liaison between scientists and policy makers. The Churchill Scholarship application process is supported by the Office of Merit Scholarships, Fellowships and Awards (OMSFA), a UAA program. OMSFA works with faculty, staff and students to identify and support promising students in developing the skills and personal insights necessary to become strong candidates for this and other prestigious awards. The UW campus application process for students interested in the Churchill Scholarship (and other scholarships supporting studies in the UK) is open for 2019-20 awards.